Amir Hamzah, the Indonesian poet and national hero, was a man of words and forgiveness. The son of royalty in the Langkat regency of Sumatra, he started the literary magazine Poedjangga Baroe alongside Sutan Takdir Alisjahbana and Armijn Pane and thus sparked a literary movement. He pushed for the recognition of the modern Melayu language. His own poetry collections were bereft of rage – if there were any traces of it, they were contained, quiet. However, in the play Nyanyi Sunyi Revolusi (The Quiet Singing of Revolution), courtesy of Titimangsa Productions and the Bakti Budaya Djarum Foundation, he is mostly not a poet. It is a story largely about forgiveness at a time when it was considered a luxury. His disdain for status and all the limitations that it presents animates the play. The story, based on the late writer N.H. Dini’s biography of Amir called Pangeran Dari Seberang (The Prince from Across) concerns a few chapters of the life of Amir, who is played by actor Lukman Sardi. In the play, he’s stuck between two worlds: Java and Sumatra. In the Central Javan town of Surakarta, where he went to school, he harbored a seemingly unbreakable relationship with Ilik Sundari (Sri Qadariatin). However, Langkat comes calling, as his uncle, Sultan Mahmud, who pays for his tuition after the deaths of his parents, demands he return home and he marries him off to Tengku Kamaliah (Desi Susanti). The fate of Tengku Tahura (Prisia Nasution), Amir and Tengku Kamaliah's daughter, is the most intriguing of them all. Tahura is separated from her father and Amir’s past ordeal is Tahura’s present misfortune. Tasked to deliver an apology to Ilik by her mother, Tahura has to carry the cross that her parents leave her. Her story encapsulates the play’s overall theme and, thus, hers is the most successful of all the characters. Langkat is a place dependent on the Dutch, a necessary evil that brings Amir back into the fold. He is beholden to his uncle, no matter how much he decries his circumstances. The play, staged at the Gedung Kesenian Jakarta playhouse in Central Jakarta, patiently presents the duality of a man who’s stuck but never questions his identity. By centering it around guilt — Amir leaving Ilik, Kamaliah taking Amir away from Ilik, Iyang Wijaya (Aliman Surya), a foreman, beheading Amir — Nyanyi Sunyi Revolusi excels. The locality of Langkat is also front and center — the thick Melayu accent is commendable work and so is the music, courtesy of the arranger, Jaeko. 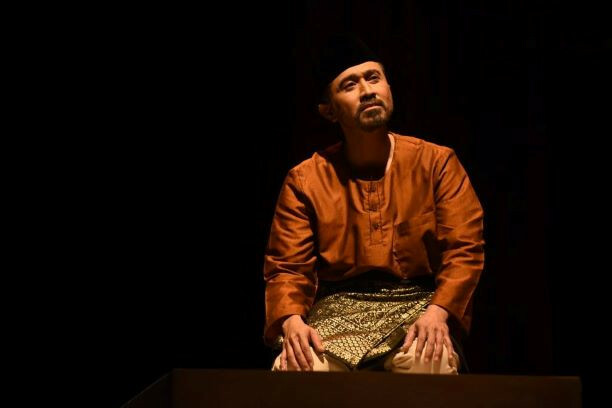 Through the masterful direction of Iswadi Pratama with a script written by playwright and poet Ahda Imran, Nyanyi Sunyi Revolusi mirrors Amir’s quiet temperament over its two-hour run time. The length, however, at times does not help the play’s turgidity. There’s a lot of points that the play raises, but the narrative thread doesn’t justify them — instead, it seems inefficient (you’ll hear a lot of the characters waxing poetic about how kind and loving Amir is). Conversations sometimes wander off, although the play, by its end, comes together pretty well. What greatly helps is the acting of all the actors. Lukman is wonderful in the play, but the most laudable distinction should go to Desi. Her range — from a quiet rage to inconsolable grief — is a sight to see and so is Prisia to a lesser extent. 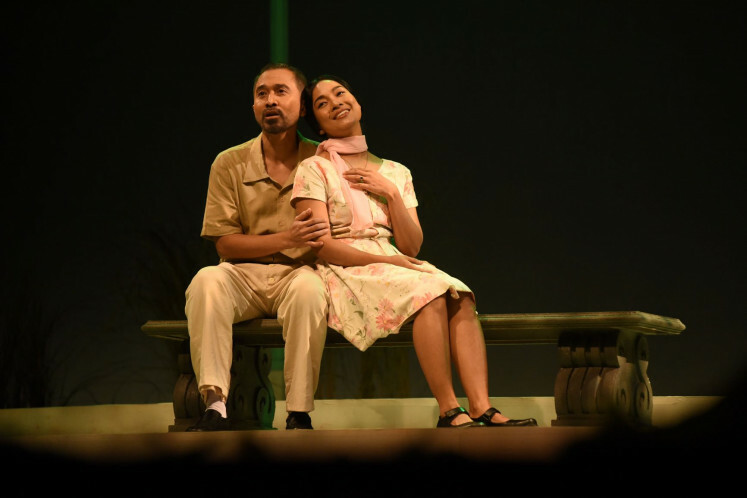 The producer of Nyanyi Sunyi Revolusi, Happy Salma, envisioned the play as providing an entry for Indonesian literary works seeking a second home in theater. Nyanyi Sunyi Revolusi could use more of that spirit. The story doesn’t facilitate the highlights of Amir’s literary legacy — it only gets a passing mention.